Fine Art Photographic Master Prints from 8x10 inches to aver 8x10 feet. Gold, Selenium, Sepia Sulphide, Thiourea, Copper, Tin, Iron, Uranium and Tea Toning. Archival wet, cold and dry mounting. Skink Ink is a fine art giclee printing studio located in Williamsburg, Brooklyn, NY. 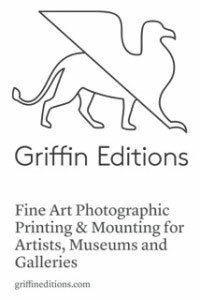 Founded by Philip Riley who is it's lead artist and printer. Philip attended the Central School of Art in London to study Fine Art Painting in the mid-eighties and remained in the city participating in the London's vibrant art scene until he left in the mid-nineties for New York. His work has been included in significant shows such as 'Wonderful Life' at the Lisson Gallery London, 'The Institute of Cultural Anxiety' at the ICA, London and 'Instructions', Gio Marconi Gallery, Milan. Opening in 1977 at the height of New York’s photo industry, Baboo, located in Manhatten’s Flatiron Disctrict, continues to service both the photgrapher, advertiser and hobbyist. We provide expert imaging solutions for anything from gallery exhibits to retail signage. Since 1990, BETHSCHIFFER PRO>PHOTO LABS has been of service to professional photographers in the United States as well as shooters and creative teams internationally. Located in Tribeca, downtown Manhattan?s photo district, BETH SCHIFFER?s New York City 3-floor facility is known for its cache of operations which include the highest caliber technical operation, equipment and support personnel. For digital or conventional needs, the ever-expanding photographic organization explores all options to insure 100% satisfaction in all phases of production. With major accounts in the publishing and recording industries, BETHSCHIFFER PRO>PHOTO LABS prides itself on its reputation as a proven leader in photographic community. For over 45 years Duggal has provided complete visual solutions to the world’s leading image-makers. Duggal Visual Solutions, Inc. is a leading supplier of printing, computer imaging and multimedia, wide format graphics, and display services. Duggal was incorporated in 1963 and is widely considered the nation’s top photo/imaging facility. Our clientele is widely spread among top retailers, Fortune 500 corporations, museums and graphic designers. Our vast array of cutting-edge production equipment, 24-hour facilities and our team of knowledgeable technicians stand ready to complete your projects on time and on budget regardless of size or complexity. From design and production, to shipping and installation anywhere in the world, the Duggal team is dedicated to providing the highest level of service and quality. At Ken Allen Studios, we are master printers, emphasizing craftsmanship over production. We provide a variety of digital services to help you achieve your vision. We are a full service professional photographic lab and a high-end creative production studio. 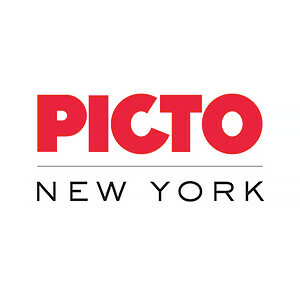 Part of PICTO Paris, image perfection since 1950. Print Space was established in 1996 to provide a state of the art facility for photographic printing. Throughout our evolution from purely analog operations to the sophisticated digital technologies in use today, our emphasis has been on our customers' experience and satisfaction. Our primary focus is fine art digital printing but we also offer expertise in digital image editing, high resolution scanning, archiving and photo restoration. We offer digital chromogenic prints as well as archival pigment prints on a wide variety of print media. The Digital Kitchen was established in Spring 2007 to offer CPW members, students and the community at large the opportunity to explore the digital arena. You can work on your own, work with the lab staff, share hints and suggestions talk with fellow photographers or sign up for one-on-one sessions with the lab manager. The ‘Kitchen will be home to a wide variety of innovative classes in desktop publishing, digital photography, digital workflow, web design & the Adobe Creative Suite products. At the ‘Kitchen, innovative uses digital tools combining different medias are explored.